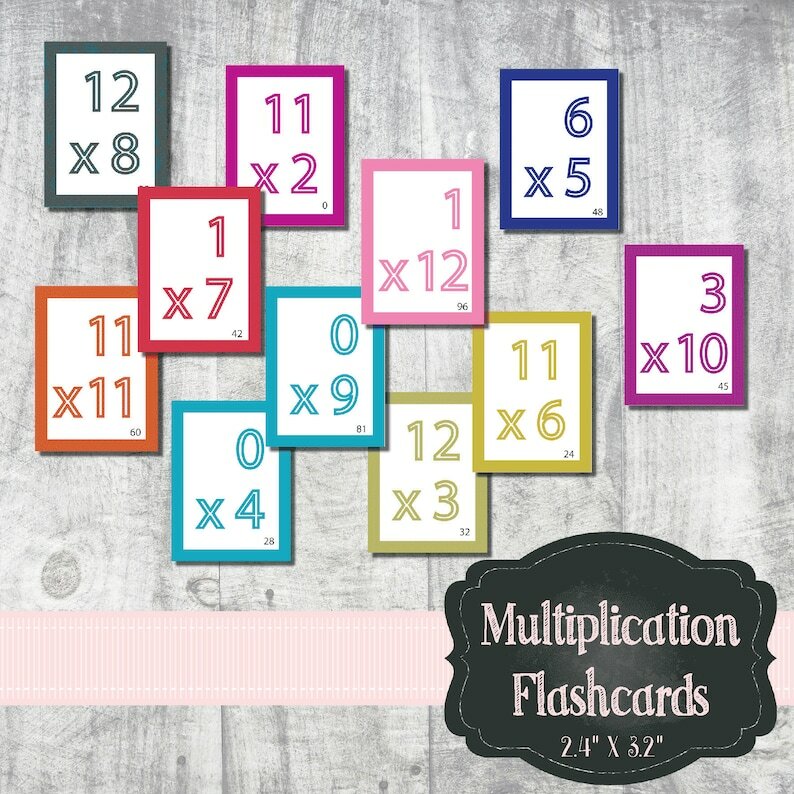 Help your child master their multiplication tables with these ready to print flashcards. This printable cuts out smaller than typical flash cards so smaller hands can hold them. The beauty of these cards are that you can print more than one set at a time to make up your own flash card games. 1st page is the directions for printing. 2nd page is left blank so you can send the whole file to double side if you are able. The remaining pages should be printed double sided sequentially. You will end up with 8 pages of 9 cards each for 72 cards. Easily cut the cards with a guillotine trimmer or scissors. I highly recommend printing on 110 lb card stock minimum. Absolutly wonderful!! Thank you so much!